Keeping your hair looking good during Tokyo’s humid summer is definitely not an easy task. Fighting the inevitable hair frizz is a challenge for most of us, so we asked some of the city's top professionals for their recommendations on how to keep your hair looking it’s best in spite of the humidity. Howard Regner, owner of Gold Salon Tokyo in Azabu Juban believes that the best way to protect hair against humidity is the Brazilian Keratin treatment, and its game changing ability to frizz-proof hair. How does it work: Firstly, the hair cuticle is prepared for the treatment using a clarifying shampoo to remove all impurities. Then the QOD Brazilian Keratin Treatment is applied and left on the hair for 25 to 50 minutes to process, after which the hair is thoroughly rinsed clean of the keratin. Next, a highly moisturising Argan treatment is applied and left for 5 minutes, and then rinsed clean. Finally, hair is blow dried and ironed straight with a professional ceramic iron to seal the keratin and lock in mixture. Result: Sleek, shiny hair that is resistant to humidity for 3-5 months depending on your hair condition. QOD Brazilian Keratin treatments are famous for creating brilliantly shiny hair. Cost: Short hair ¥20,000; Medium hair ¥25,000; Long hair ¥30,000. Perfect for: Hair that misbehaves in the humid summer months. 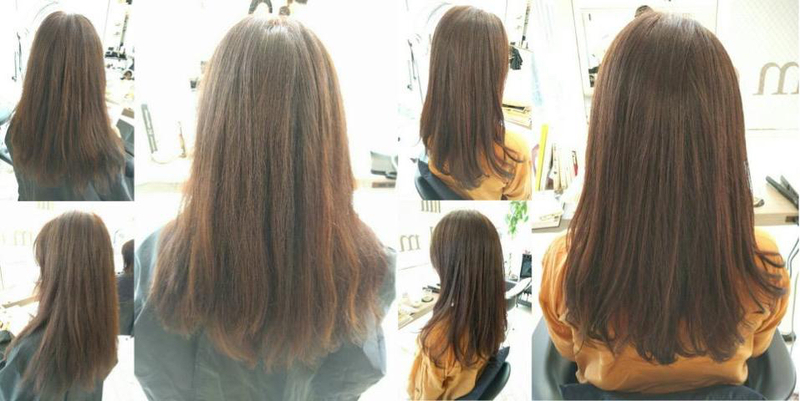 As this treatment “washes out” over a few months, it’s ideal for those who don’t want to commit or don’t need the permanent result of Japanese straightening. Miyuki from Real Me in Ebisu recommends Japanese permanent straightening as the best way to fight humidity related frizz. 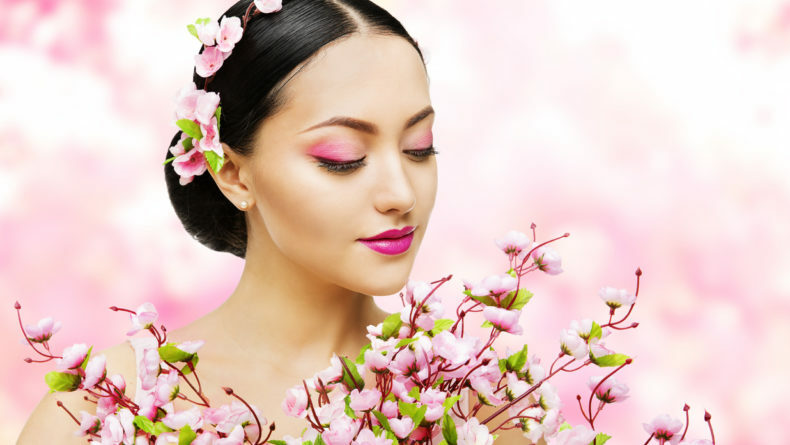 Japanese straightening is popular among Japanese woman looking to keep their hair smooth and straight, but even non-Japanese hair types can benefit. “Many of my clients want smooth, shiny hair that is resistant to the effects of humidity, but still want to be able to style their hair with a slight curl or some volume at the roots. “This way the smooth straightened strands lay neatly on the top of the hair giving a polished finish, but the under sections give volume and the versatility to curl and style”. How does it work: Japanese straightening uses chemicals to break down the hair bonds that gives it its natural wave or curl, the hair is then rinsed, blow dried and carefully straightened with a flat iron. A neutralising solution is applied to lock the new flat hair follicle in place. 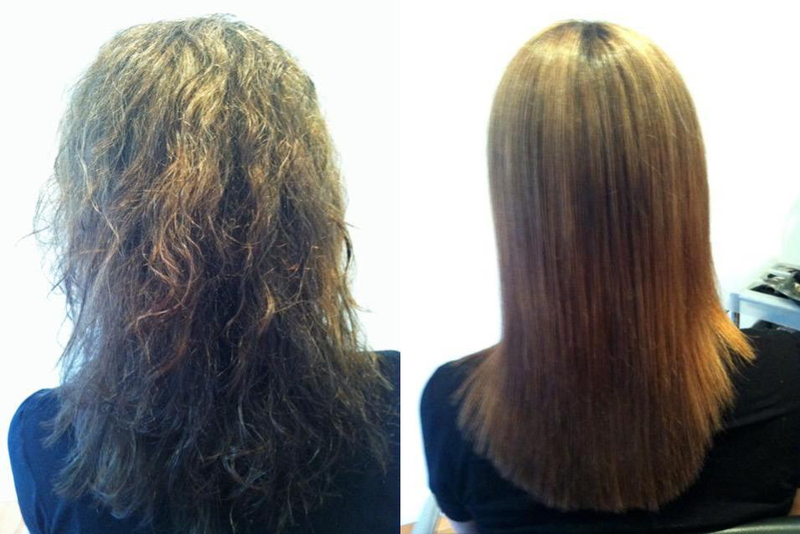 Result: Permanently straightens the hair transforming frizzy strands. Perfect for: Those who are committed to a straight, smooth hair look and are willing to keep up with the maintenance of the straightening treatment. If salon treatments are not your thing, Yuriko Iwasaki from uka’s Kitte Salon, gives us some home haircare tips. Q: For those who have limp/fine hair (holla! ), what is the best way to care for it during the summer months? 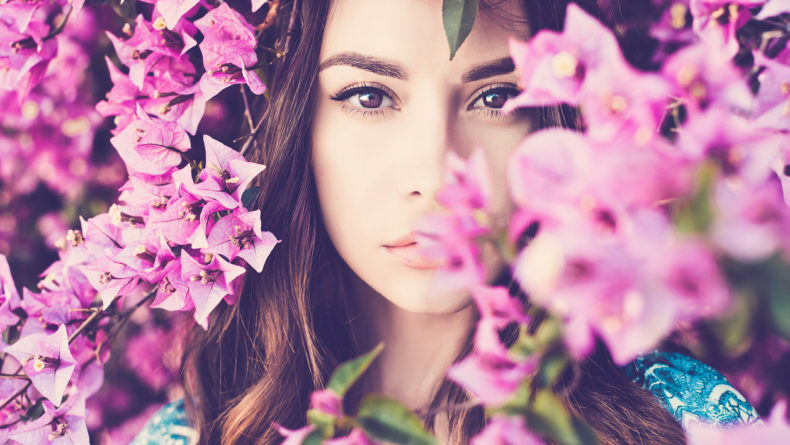 A: During the peak summer months, regular cleansing, that is daily or every other day, is necessary to ensure volume at the roots of fine hair types. Brushing will also energise the scalp which helps to add more natural volume in the hair. 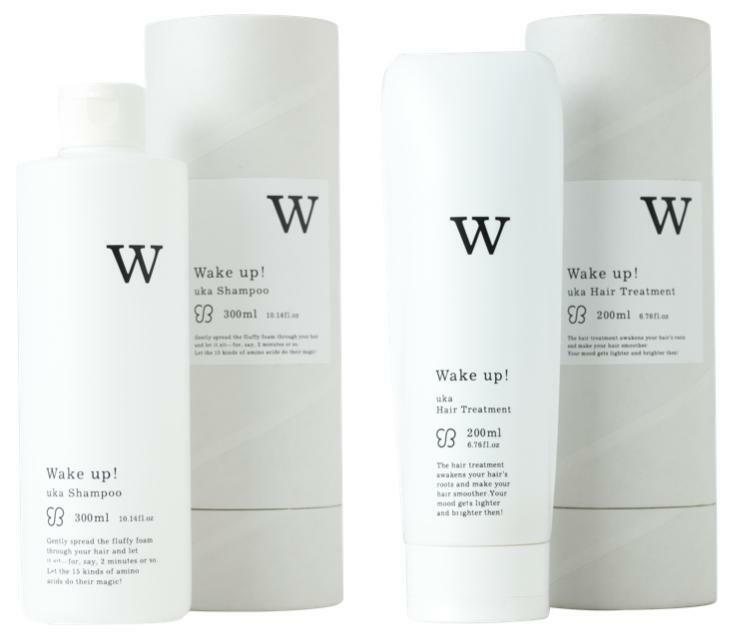 Try uka Shampoo Wake up! And uka Hair Treatment Wake up! which provide lift and bounce to flat hair. Q: What’s the best way to stop humidity from causing frizzy, unruly hair? A: For those who have hair that gets unmanageable in the heat try adding some oil on the ends to nourish and deeply moisturise the hair. When the air is humid, your hair contains excess moisture which makes it frizzy and curly. Hair oil coats it perfectly so that any excess moisture in the air won’t come inside – even on a very humid, rainy day. Also, when you blow-dry the hair, make sure the hair is completely dry before you step outside, this will help reduce humidity related frizz. Q: Why is caring for your scalp extra important during the summer months? A: Oxidised sebum causes odor and greasiness. Bacteria then tends to grow on the scalp, so cleansing is essential to maintain healthy scalp and hair. Always make sure to thoroughly cleanse the scalp before you shampoo. 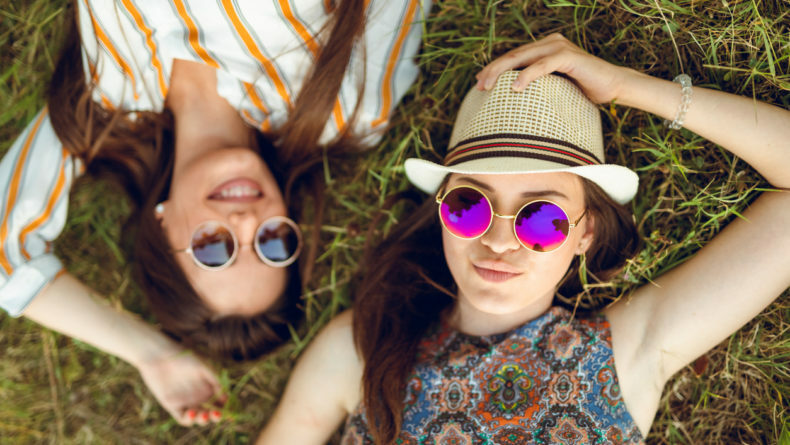 In the sweltering summer heat, the last thing you want to do is spend hours heat styling your hair, only to have it fall flat as soon as you walk out into the humidity. 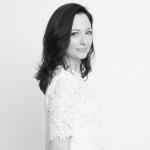 We asked Julia Spotswood of Jet Set Salon in Hiroo, for two of best summer hairstyles to have you looking effortlessly gorgeous even when the temperature is soaring. Both of these styles are half up styles that keep the hair off the face, while allowing you to embrace longer hair styles. Cool fishtail braids give a boho beach vibe- a built in level of dishevelment and imperfection is required to make it look it’s best. Perfect for voluminous air dried hair. For an elegant and minimal summer style, pull the hair away from the face by wearing a twisted knot style. Simply knot hair on either side of the face and then secure with bobby pins, leaving the rest of the hair to fall naturally. 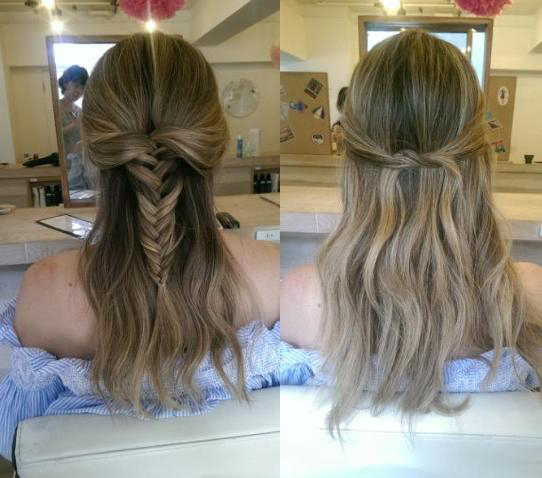 Cost: Half up-do (without shampoo) ¥4,000; Shampoo and half up-do ¥7,000.